In case your instructor has added grades in a Blackboard Learn course you will be able to view them via the My Grades tool. Keep in mind though that you do not receive grades for your final exam and final course grade from Blackboard Learn. You get these grades from the myACG Portal (enter your ID and PIN numbers to login) and the Registrar’s Office. It may include item names, details, due dates, student and instructor dates of activity, posted grades, points possible, links to rubrics used for grading, and your instructor’s comments about the items. 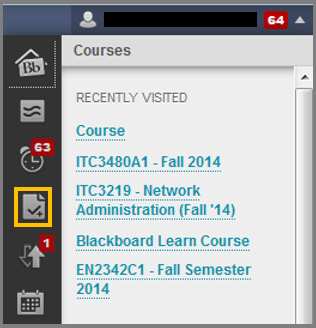 Click the My Grades icon from the vertical menu of the Global Navigation Menu that has popped up. View your grades and comments by using the filters Date and Course. Visit the Global Navigation Menu in your Bb user account. Click the My Grades icon. 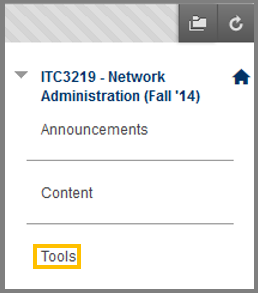 Click the Tools button from the course menu. Choose My Grades to see your grades. – Item has not been completed. No information is available. Item is completed, but will not have a grade (for items such as surveys). Item has been submitted. This item is waiting to be reviewed by your instructor -OR- Item has been submitted. Your instructor may review this item, but may not provide a grade. Grade Item has been graded. Click the grade to view detailed feedback.